Police have removed photographs by the Russian performance artist Oleg Kulik from an exhibition in Paris. The images, part of a retrospective exhibition titled New Sermon, were confiscated on 28th October after police visited the exhibition at the FIAC art fair. The ArtGorillas gallery in Bangkok is currently showing Astonishment & Power, an exhibition of paintings and photographs by Bogomir Krajnc. The exhibition includes abstract collages (painted over newspapers and old prints), and photographs of dead animals (including a bird's head, used as the exhibition's poster image). There is even a painting with an animal skull stuck onto it. 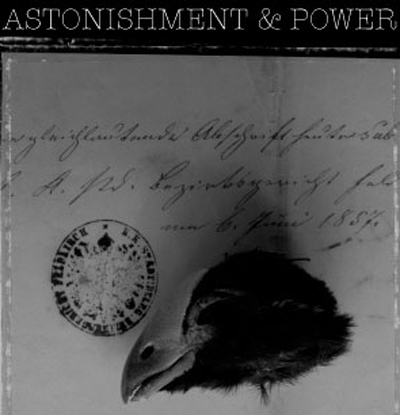 Astonishment & Power opened on 10th November, and runs until the end of the month. Cahiers Du Cinema, the highly respected French film magazine, has published a book listing 100 films necessary for a perfect cinema programme. 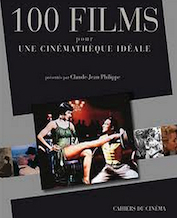 The book, by Claude-Jean Philippe, is titled 100 Films Pour Une Cinematheque Ideale. 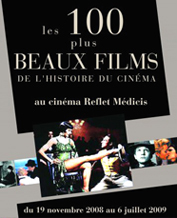 A Parisian cinema, the Reflet Medicis, will indeed be screening the 100 films, in a season called Les 100 Plus Beaux Films De L'Histoire Du Cinema, running from yesterday until 6th July 2009. It's a pleasant surprise to see two films by Kenji Mizoguchi - Ugetsu Monogatari and Sansho Dayu - as his work rarely appears on top-100 lists. Note that Some Like It Hot is the 1959 comic masterpiece, not the obscure 1939 comedy. 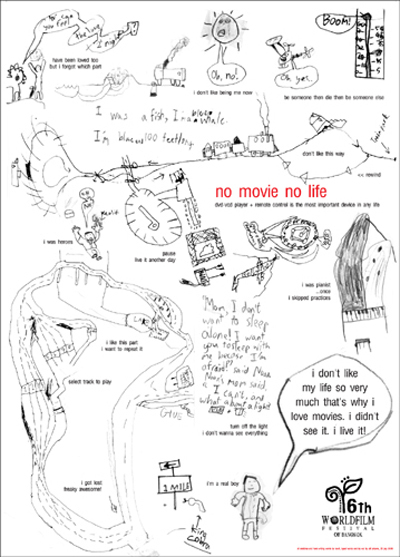 Cahiers produced a similar list in 1994, 100 Films Pour Une Videotheque, though that list was restricted to films available on VHS. 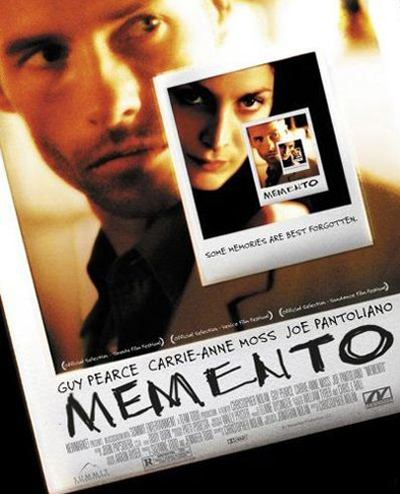 Memento is a psychological thriller directed by Christopher Nolan, starring Guy Pearce, Carrie-Anne Moss, and Joe Pantoliano. 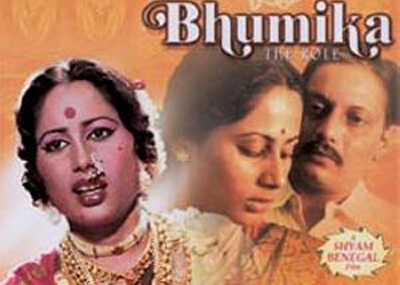 It's an example of neo-noir filmmaking, featuring the detective-mystery plot, duplicitous characters, flawed protagonist, femme fatale, and downbeat conclusion typical of film noir. More specifically, Memento is an example of film soleil, a strain of noir (exemplified by Chinatown) that exchanges chiaroscuro for sunshine and swaps the grime of New York for the cleanliness of California. Leonard Shelby (Pearce) and his wife were attacked in their home by two masked men. During the attack, Shelby killed one of the men, though he sustained a head injury that resulted in anterograde amnesia: he can remember his life before the attack, though he has lost his short-term memory. Consequently, he photographs everyone he meets, writes notes to himself, and even tattoos important information on his body. 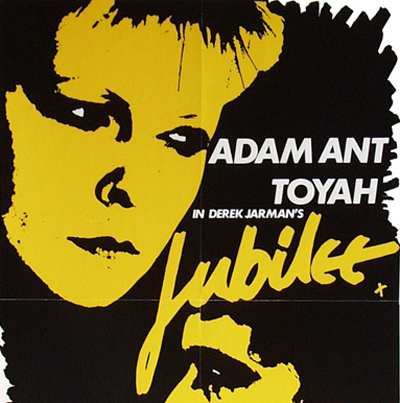 The film begins with Leonard searching for his wife's murderer, a man whose initials are JG. He is helped by an amoral cop, Teddy (Pantoliano); and he meets a bartender, Natalie (Moss), who gives him vital information. Teddy and Natalie both exploit Leonard to a certain degree, as does the only other person he interacts with, a motel clerk. Memento's narrative positions it alongside the non-linear, fragmented structures of Eternal Sunshine Of The Spotless Mind and other recent films, a trend inspired by the success of Pulp Fiction. With a complex series of clues, an unreliable narrator, and a twist ending, it also recalls The Usual Suspects. The film demands an audience's attention, since every scene contains a new piece of the puzzle; it's one of the smartest and most original films of the decade. 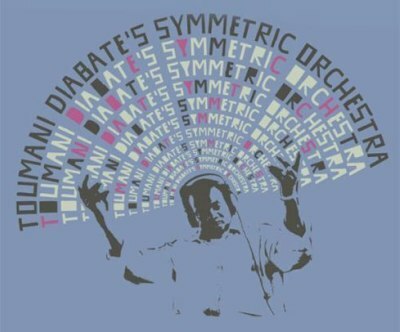 Legendary Movies, by Paolo d'Agostini, features 140 films arranged chronologically and selected for their artistic, cultural, and commercial significance. It was originally written for the Italian market, as I Grandi Film: Quando Il Cinema Diventa Leggenda, and consequently there is a distinctly Italian bias to the list. There are plenty of genuinely legendary films in the book, though there are also quite a few popular yet insubstantial (and frankly awful) titles: A Summer Place, The Pink Panther, Mary Poppins, Love Story, Forrest Gump, and Life Is Beautiful. Also, very recent films (such as the Bourne and Pirates Of The Caribbean trilogies) could hardly be described as legendary. Note that Ben-Hur, Frankenstein, and The Ten Commandments are all sound films and not the earlier silent versions. Some Like It Hot is the 1959 comic masterpiece, not the obscure 1939 comedy. Also, Titanic is the 1997 James Cameron version (as opposed to the earlier 1943 and 1953 versions). There have been many filmed adaptations of Romeo & Juliet; this one is the 1968 Franco Zeffirelli version. 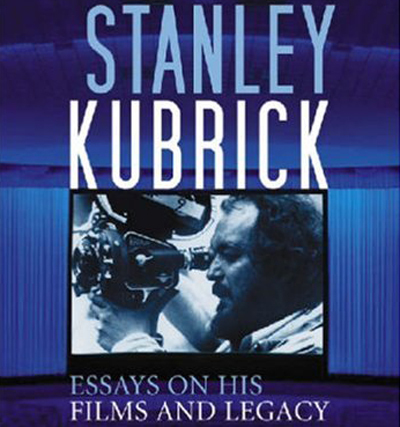 Stanley Kubrick: Essays On His Films & Legacy is a new compendium of Kubrickian scholarship, edited by Gary D Rhodes. At first glance, it closely resembles Depth Of Field, a previous collection of essays on Kubrick, with individual analyses of his major films, excluding Dr Strangelove, and several chapters devoted to Eyes Wide Shut. The contributors to Depth Of Field (Diane Johnson, Vincent LoBrutto, Frederic Raphael, Jonathan Rosenbaum, et al.) were less academic, though arguably more authoritative. The contributors to Rhodes's book all have university teaching positions, yet none of them has previously published any work on Kubrick. In his introduction, Rhodes inexplicably praises the first essay as a "monumental examination of Kubrick's photography for Look magazine". Unfortunately, the essay is a missed opportunity: instead of providing a detailed analysis or survey of Kubrick's Look photography, the author (Philippe Mather) spends page after page on photojournalism textbooks and sociological theories. Also, Mather's Look sources are all secondary, seemingly limited to Drama & Shadows and LoBrutto's biography. Other disappointing essays include overly descriptive articles on Kubrick's documentaries (by Marina Burke) and Killer's Kiss (by Tony Williams), both of which feature extensive plot summaries and only limited analysis. Then there is Eric Eaton's dry, theoretical study of Paths Of Glory: he examines the film's "conceptualization of at least two fundamental, polarized properties: (1) abstraction-concretion; and (2) the opposition of the powerful cultural forces emanating from the two states toward the concrete world of"... zzzzzzzzz. The book's final chapter, by Robert JE Simpson, deals with Kubrick's personal reputation and public image, discussing the media representations of Kubrick that have appeared since his death (including Raphael's book, Eyes Wide Open; Colour Me Kubrick; and the Stanley Kubrick Archive, in London). This is the book's most original chapter, and contains valuable information on texts that many people may be unaware of. The 6th World Film Festival of Bangkok was held at Paragon Cineplex from 24th October to 2nd November. 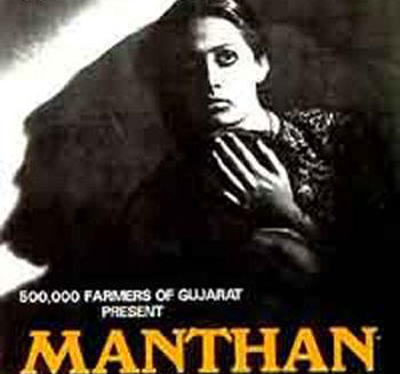 It featured retrospectives of directors Derek Jarman (including his Punk film Jubilee on 26th October) and Shyam Benegal (including his Middle Cinema films Manthan on 27th and 30th October, and Bhumika on 26th and 31st October). The Festival was on a slightly smaller scale than last year, with no peripheral events. L'Express International, the global edition of the French weekly magazine L'Express, has self-censored a portrait of Mohammed used on the cover of the current issue. The French edition is uncensored. Even obscuring Mohammed's face did not stop Morocco from banning the international edition. Forbidden Words: Taboo & The Censoring Of Language, by Keith Allan and Kate Burridge, is an analysis of social and cultural linguistic suppression. The authors take an inclusive approach, finding space not only for swear words and profanities but also for political correctness, proscriptive usage, and jargon. Each chapter begins with an abstract, though an introduction outlining the various areas of enquiry might be a useful addition, given the wide scope of the book. The first chapter explores the origins of social taboos and literary censorship, material which will be familiar to many readers. More interesting is the next chapter, which discusses euphemistic language; here, the authors coin a new term, 'orthophemism', to describe literal vocabulary which is neither euphemistic nor dysphemistic.